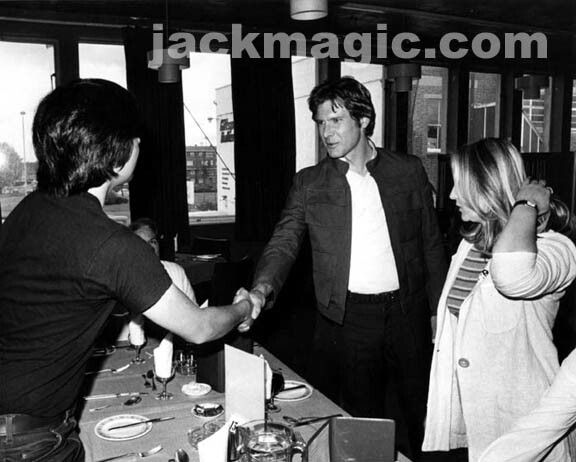 This is me (Matt Pak) meeting Harrison Ford at the commisary. He was polite, friendly, articulate, a great guy. In fact, all of the cast and crew were terrific and never made us feel like intruders or in the way. The lady on the right was our tour guide.